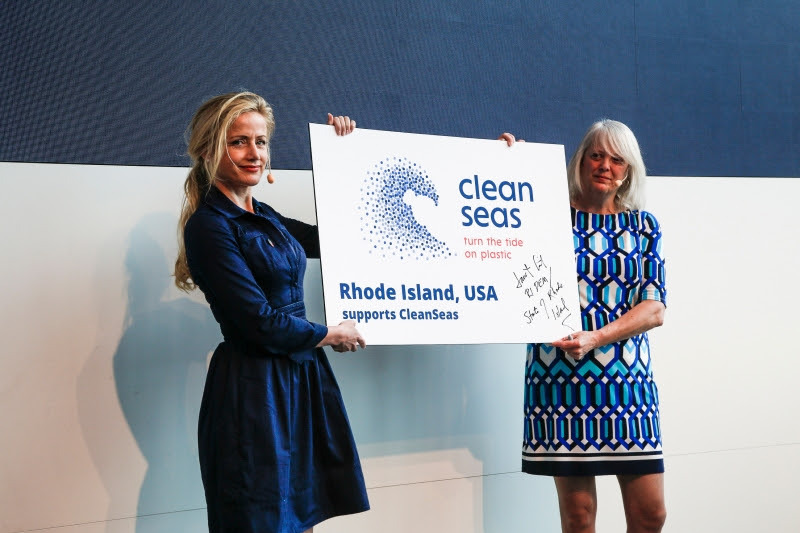 A range of announcements at the Ocean Summit during the Newport stopover saw Rhode Island become the first US state to sign up to the UN CleanSeas campaign to fight ocean plastic pollution. Volvo Cars revealed it will remove single-use plastics from all its offices, canteens and events across the globe replacing over 20 million single-use plastic items with sustainable alternatives. Sheldon Whitehouse, US Senator of Rhode Island, Lewis Perkins, President Cradle to Cradle Products innovation institute and Wendy Schmidt, President of The Schmidt Family Foundation, co-founder of Schmidt Ocean Institute debated the actions need to stop marine debris polluting our seas. Other speakers included, Martin Lundstedt, President of AB Volvo and Chief Executive Officer of the Volvo Group and Jason Rolfe, NOAA Marine Debris Program Mid-Atlantic Coordinator who talked about the measures they’re taking to raise awareness of the issue. 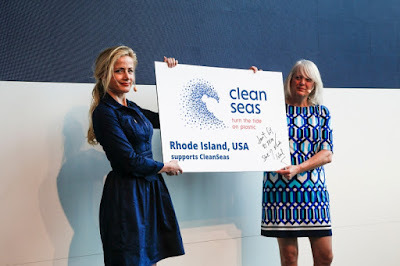 Janet Coit, Director of the Rhode Island Department of Environmental Management, said: “We are proud that Rhode Island, the Ocean State, is the only North American stopover for the Volvo Ocean Race and the first state to sign the CleanSeas campaign to address the scourge of plastic ocean pollution. Lisa Emelia Svensson, Ocean Ambassador, UN Environment, told the audience about the partnership the need for a global shift away from our reliance on plastic. She said: “We need to fundamentally change the way we think about plastic. We must stop treating it as a material that we can just throw away immediately after use, and start thinking of it as something that has real value. The audience heard that Founding Principal Partner of the Volvo Ocean Race Sustainability Programme 11th Hour Racing has teamed up with Volvo Ocean Race Sustainability Partner, Bluewater to create the Imagine H20 Urban Drinking Water Challenge 2018 to advance and deploy resilient drinking water solutions in fast-growing cities globally. “11th Hour Racing’s strategic partnerships drive innovation that tackles the challenges impacting our oceans and planet,” said Jeremy Pochman, Co-founder and Strategic Director of 11th Hour Racing. For the first time ever the summit was broadcast live on volvooceanrace.com and Facebook Live to people around the world. Dr. Sören Gutekunst of GEOMAR Institute for Ocean Research Kiel, revealed data from the Race’s Science Programme which found levels of plastic in areas of the Southern Ocean that have never before been tested. Following the Ocean Summit, 11th Hour Racing, held a workshop in association with Cradle to Cradle on the importance of designing, making and using products that are reusable and recyclable.